In their latest article, Precision Tree Service shares tips for tree care and maintenance to keep your trees strong and healthy year-round. The warm weather can have very negative effects on trees and plants and preparing your trees is extremely important in order to keep them strong, healthy, and looking beautiful throughout the year. With the heat and dry weather of summer approaching, the newest article from Precision Tree Service discusses the best ways to prepare your trees for summer. The warm weather can have very negative effects on trees and plants and preparing your trees is extremely important in order to keep them strong, healthy, and looking beautiful throughout the year. Whether it is tree trimming, limb removal, pruning, or full tree clearing, summer is the best time to focus on tree maintenance. The article starts by explaining tips on inspecting your trees and shrubs. Precision Tree Service advises that when inspecting trees, be sure to check for insect infestation and disease, as well as cracks, wounds, and decay. 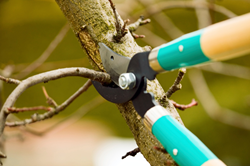 Precision Tree Service goes on by explaining the four most common types of tree pruning. The first option is crown thinning. Crown thinning promotes better form and health by increasing light penetration and air movement. Taking proper care of trees during the summer months will ensure strong and healthy trees year-round. Precision Tree Service offers tree removal, trimming, and pruning throughout Everett, Marysville, and Seattle. For more information, visit their website at http://precisiontreeservicewa.com. Precision Tree Services is a family-run business that expands throughout Whatcom and the Snohomish County area. They provide a full range of tree services, including tree removal, tree pruning, shrub and bush pruning, hedge trimming, stump grinding, crown reduction, crown raising, tree cabling, and more. All of our services are conducted by fully-trained tree experts or ISA certified arborists. Contact our office to schedule a tree service.